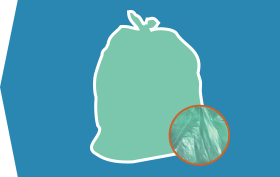 A trash bag with a color that stands out helps you clearly identify its contents at a glance. Green trash bags are fun, bright and exciting. Whether you are looking for something original and different to brighten up a party or event, sort trash or color code charity collections, you can be assured they will stay strong and resilient.